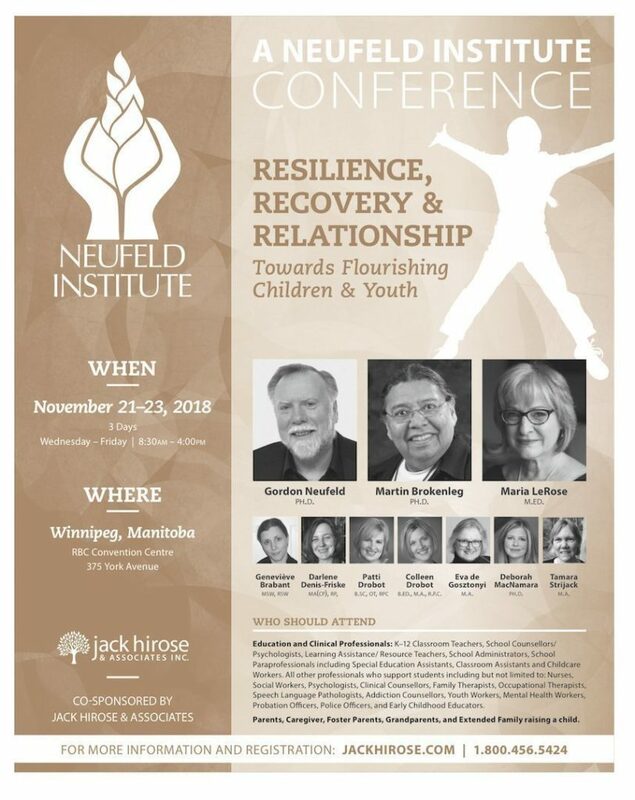 Gordon Neufeld is a well known developmental psychologist, writer and presenter, perhaps best known for his work on attachment between parents and their children. Martin Brokenleg is a psychologist noted for his work with First Nations and at-risk children. They will be presenting together in Winnipeg on November 21-23. If you want to learn more about the importance of relationships to child development and growth, this is the conference for you! Topics will include resilience, attachment, the Circle of Courage, and the importance of play as foundations to help children with issues such as anxiety, anger, aggression, bullying, and suicide. These are questions that affect all children, including those with autism. More specifically addressing ASD are sessions on sensory hypersensitivity, and on creating truly safe spaces in schools for moments of emotional distress. Fees range from $230 for one day, to $600 for all three ($540 if you’re a student). The early bird cutoff is November 7. If you register by then, you save $20.